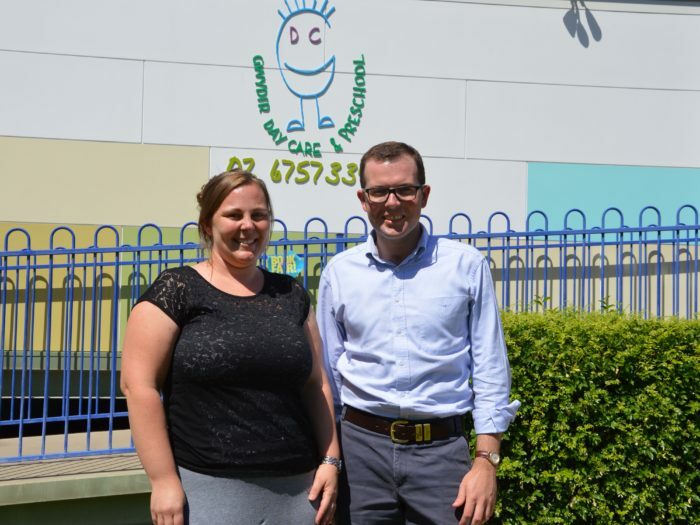 MEMBER for Northern Tablelands Adam Marshall today congratulated Moree early-childhood educator Sharlene Morris on being awarded a $10,000 scholarshipto assist with the upgrade of her qualifications to a four-year bachelor’s degree. Mr Marshall said diploma-qualified early educators were the first beneficiaries of the NSW Government’s commitment to strengthen early childhood education for children in rural and remote communities. “Sharlene works part time at the Gwydir Day Care and Preschool and this scholarship will assist her with the costs of upgrading her qualification to a degree,” Mr Marshall said. “This is great news for Sharlene and also for parents and children in the Moree community. “The importance of quality early childhood education cannot be understated as it gives children the best start in life. Ms Morris said she was thrilled to receive the news from Mr Marshall that she’d been successful in her application and looked forward to beginning her distant education course with Southern Cross University. “This money will help cover the costs of my studies and deal with registration fees and text books,” Ms Moris said. The Rural and Remote Early Childhood Teaching Scholarships are part of the Government’s $80 million Rural and Remote Education Blueprint for Action.